The mechanical properties of the four pieces of ASTM A335 P92 pipe bends shall be tested and reviewed. It includes tensile strength, yield strength, elongation, as well as the impact test value. Tensile tests were conducted at room temperature and elevated temperature on both longitudinal(“L”) and transverse directions(“T”). The specimens were taken respectively from the ASTM A335 P92 raw pipe, bend-starting area, bend-ending area, outer-back-arc area of the finished pipe bends. In below 4 tables, “Y.S” stands for yield strength with the unit “MPa”, “T.S” stands for tensile strength with the unit “MPa”, “EL.” stands for elongation with the unit “%”, “Akv” stands for the average energy absorption in impact test with an unit of “J”. Besides, “RM”: raw material, “BS”: bend-starting area, “BE”: bend-ending area, “BA”: bending-back-arc area, “R.T”: room temperature, “E.T”: elevated temperature. 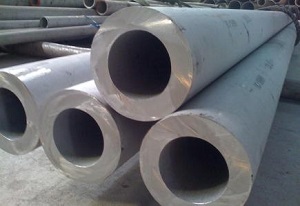 The raw material for bending: ASTM A335 P92 seamless pipes. *The tensile test results for item B1 of P92 pipe bend. *The tensile test results for item B2 of P92 pipe bend. *The tensile test results for item B3 of P92 pipe bend. *The tensile test results for item B4 of P92 pipe bends. All the finished ASTM A335 P92 pipe bends conform to chemical composition requirements, mechanical properties requirements at both room & elevated temperatures. Corresponding to its lower yield & tensile strength, the raw-pipe hardness of item B4 is also lower than the other 3 pieces of raw pipe. This verifies that in non-destructive test hardness is an important parameter to evaluate the strength. The wall thickness deduction rate after bending is generally okay for all 4 pipes which is negatively correlated to the ratio of bend-centerline-radius to outside diameter of the pipe. The hardness values of finished products in different areas conform to the standard. The microstructure of P92 raw material and finished products are in conformance. No intergranular cracking exists. Among the 4 different portfolios of working-temperature and bending rate(velocity), item B4 has the most uniform strength distribution in different area of finished pipe bends. Due to the relatively faster bending velocity, the yield strength at room temperature increased while its yield ration decreased. It means faster bending velocity may result in negative effect on the P92/ T92 steel. For the manufacture of ASTM A335 P92 or ASTM A213 T92 pipe bends, the optimum working temperature should be 920°C±10°C while the best bending rate(velocity) shall be 10~15 mm per minute.